Testifying for Metuh is likely to expose me to a criminal charge, says Jonathan – Royal Times of Nigeria. 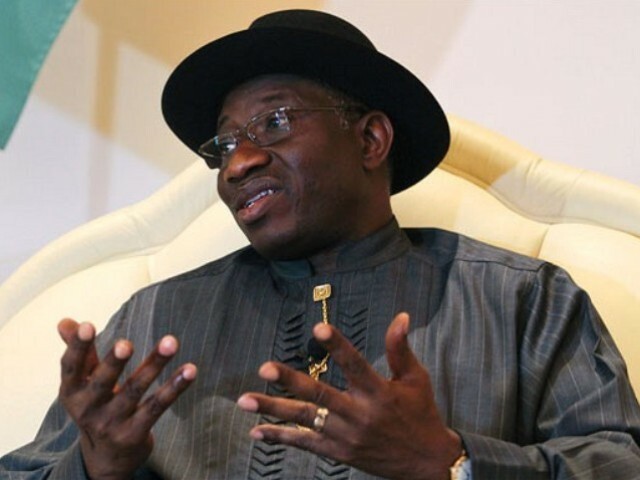 An application filed by former President Goodluck Jonathan before the Federal High Court in Abuja has revealed reasons why he wants to be exempted from appearing as a witness in defence of a former National Publicity Secretary of the Peoples Democratic Party (PDP), Olisa Metuh. It could be recalled that Metuh is standing trial on charges involving, among others, the N400 million he (Metuh) received from the Office of the National Security Adviser in 2014 and he asked Jonathan to stand as a witness in the case, where Jonathan asked to be excused. The former President in his motion challenging the subpoena issued to him, stated that with several attempts by some persons in the current dispensation, to harass, intimidate and rubbish his reputation and that of his wife, the witness summon issued on him upon Metuh’s request was a ploy to drag his name through the mud. He also argued in the motion filed on his behalf by his lawyer, Chief Mike Ozekhome (SAN), on Monday, that his testimony being sought in Metuh’s trial, would not only amount to an invasion of his right to privacy, it would also expose him to a criminal charge, penalty or forfeiture. These are contained in an affidavit, filed in support of the motion filed on behalf of Jonathan by Ozekhome on Monday, seeking an order to set aside the subpoena ordering him to appear in court as Metuh’s witness. As an alternative prayer, the motion sought an order directing Metuh to deposit with the court for Jonathan, the sum of N1 billion to cover travelling expenses for himself and his security personnel from his hometown, Otuoke in Bayelsa, to Abuja. A litigation secretary in Ozekhome’s law firm, Usman Salihu, who deposed to the affidavit filed in support of the motion, said he spoke with Jonathan through a phone call in the presence of the lead counsel, Ozekhome, at about 10 am on October 29 (Sunday). Salihu stated in the affidavit that although Jonathan had not been served with the subpoena, he but had read about it in the media. He stated that Jonathan was shocked on learning of the witness summon issued against him at Metuh’s behest. He also denied knowing anything about the charges preferred against Metuh by the EFCC. Salihu stated, “That he (Jonathan) has read in the media of a witness summons issued by this honourable court requiring him to come before the court for the purpose of testifying before the court, in charge No: FHC/ABJ/CR/05/2016. “That there have been several attempts by some persons in the current dispensation to harass, intimidate and rubbish his reputation and that of his wife. “That several attempts have been made to attach or seize the accounts and properties of his wife, her relatives and her pet, NGO. Most of the cases filed for and against such moves are currently pending before various courts across Nigeria. “That when he read about the summons issued on him at the behest of the 2nd respondent, Olisa Metuh, he was shocked as he verily believes strongly that it forms part of the ploy to drag his name into the mire. “That he knows nothing pertaining to the seven counts of which Olisa Metuh, the first defendant in the charge is standing trial and consequently, has absolutely nothing to say as a witness before the court in respect thereof. “That he verily believes that the evidence sought to be obtained from him will amount to an invasion of his personal right to privacy and family life, as guaranteed by the Nigerian constitution. At the Tuesday’s proceedings, Metuh’s lawyer, Emeka Etiaba (SAN), told Justice Okon Abang that his client’s request to call Jonathan as a witness had been misconstrued outside this court. He said pained by it, his client would sit with the legal team to review the motion filed by Ozekhome on behalf of Jonathan in order to take a position on it. Meanwhile, the trial judge, Justice Okon Abang, on Tuesday, fixed Wednesday (today) for the hearing of Jonathan’s motion. The judge also fixed Wednesday for the hearing of a motion by Dasuki.